Beginning in 2004 a large group of instructors with experience living and training in Japan have come together to teach seminars together and carry on the Shotokan tradition and Nakayama Sensei’s legacy. 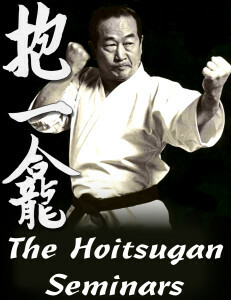 Most of these instructors trained directly with Nakayama Sensei at the Hoitsugan Dojo before his passing in 1987. While each has continued on their own path since, all of these instructors share the sense of obligation to pass on their experiences. In seminar events in 2004, 2005, 2008, and 2014 the instructors have been gratified to have hundreds of participants take up the opportunity to further their own training and learn more about the Shotokan tradition. Look for upcoming information on the next seminar event.